The skeleton’s primary mechanical function is to provide rigid levers for muscles to act against as they hold the body upright in defiance of gravity. Many bones are exposed to thousands of repetitive loads each day. During growth and development, the skeleton adds mass to the weight-bearing bones to adapt them to their mechanical role, thus reducing the risk of fracture. 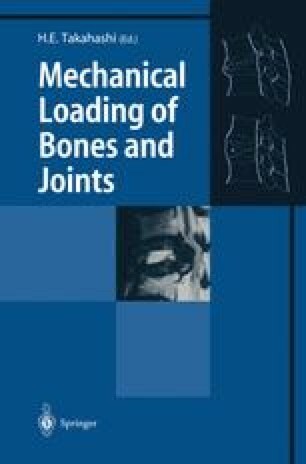 The determinant of bone adaptation is the daily loading stimulus, which is a function of the magnitude, frequency, and duration of mechanical signals engendered within the bone. The processes of bone remodeling and modeling are affected by the magnitude of the daily loading stimulus. If the stimulus falls below a lower threshold, remodeling will be increased and bone mass will be lost, and if the stimulus surpasses an upper threshold, bone mass will be increased due to increased bone formation on modeling surfaces. These thresholds form surfaces in three-dimensional space defined by loading frequency, magnitude, and duration. There is also another threshold above which loading causes damage in the bone tissue, thus increasing bone remodeling and repair. The damage threshold is defined by loading magnitude and duration, but not frequency. Mechanical signals within the bone are detected by a cellular network that responds by producing signaling molecules such as prostaglandins and nitric oxide. There are at least two intracellular pathways by which mechanical forces are translated into cellular responses, one involving constitutive enzymes near the cell membrane and another involving the integrin-actin cytoskeletal complex. The details of these pathways are discussed.